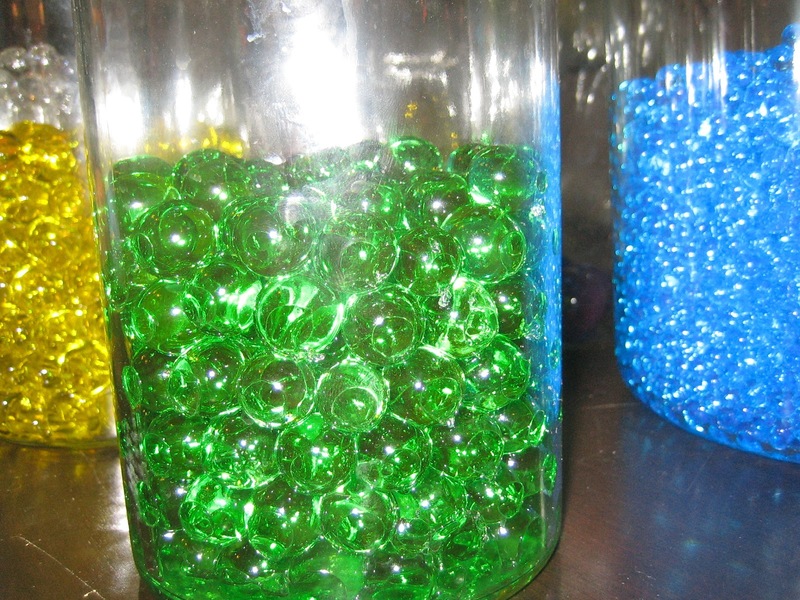 Water gels to help children feel calm. When children or adults have problems processing visual, auditory, tactile, olfactive, gustatory, vestibular, and proprioceptive information from the environment around them, they may have a sensory processing disorder. This is a neurological disorder causing difficulties with taking in, processing, and responding to sensory information. Many of the people that I work with, have some difficulty with processing sensory information. At some time most of us have experienced sensory overload; perhaps while shopping in malls, driving in traffic or attending a concert. Sensory over responsively can cause a person to go into a fight or flight reaction. Certain sounds (a school bell, someone yelling), scents (perfume, hair shampoo), or sights (flashing lights, fluorescent lights), and or feels (tags on clothing, chalk) may cause a child to run away or scream in fright. One client I work with spends to first 5 minutes checking out everything in the art rooms to make sure that he knows what is new, what others are doing and make sure that he is not missing anything. I always play the same soothing music, burn lavender oil and talk and walk slowly when he is here to help calm down his autonomic nervous system and help regulate his sensory input to a more manageable level. After about 5 minutes, he can settle into a focused and productive session. Sensory seeking means that people in this range seek intense and extreme sensory input. They may not feel pain and they may make sounds with their mouths as a way to stimulate their auditory systems. They often play rough and have poor impulse control. I have a client who would throw and spatter paint for half an hour onto a 2 metre long sheet of paper hanging on the wall before he could settle into his body and relax. Now he happily plays in the sand trays as we process his experiences. 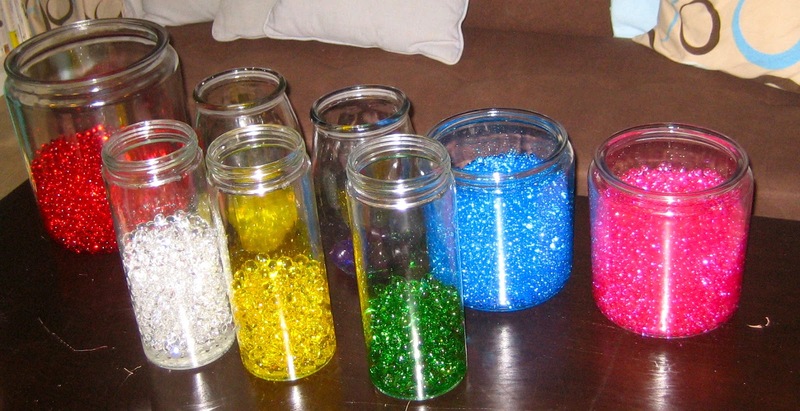 The sensory work that I do in my therapy room is geared to help normalize the senses. Children with dyspraxia have a low awareness of their body in space and lack an ability to feel or sense where their body begins and ends. I use many different body awareness techniques to help children relocate themselves in their body. Poor muscle control, poor balance are often also experienced by children and adults who have sensory issues. 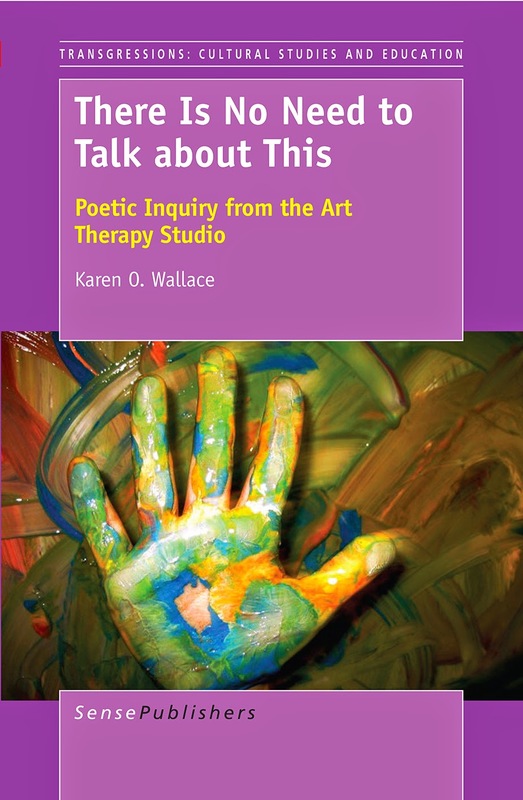 So, how can art therapy help? First, by creating an atmosphere that is sensory friendly. I have low lights, coloured lights, soft music, aromatherapy, calm wall spaces and a slowed down environment that has limited stimulation so children and adults have less sensory input to deal with when they enter the therapy space. 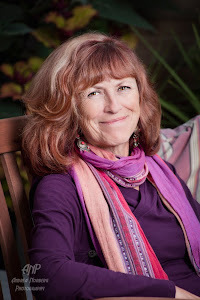 I use biofeedback, EMDR, breathing exercises, a children’s meditation program and other processes that help children and adults tolerate being in their body at a slowed down speed. I have water gels to help calm the senses. 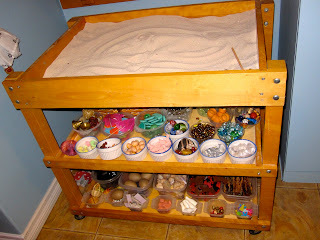 Sand tray work is wonderful for helping children learn to tolerate and enjoy different textures and feels. 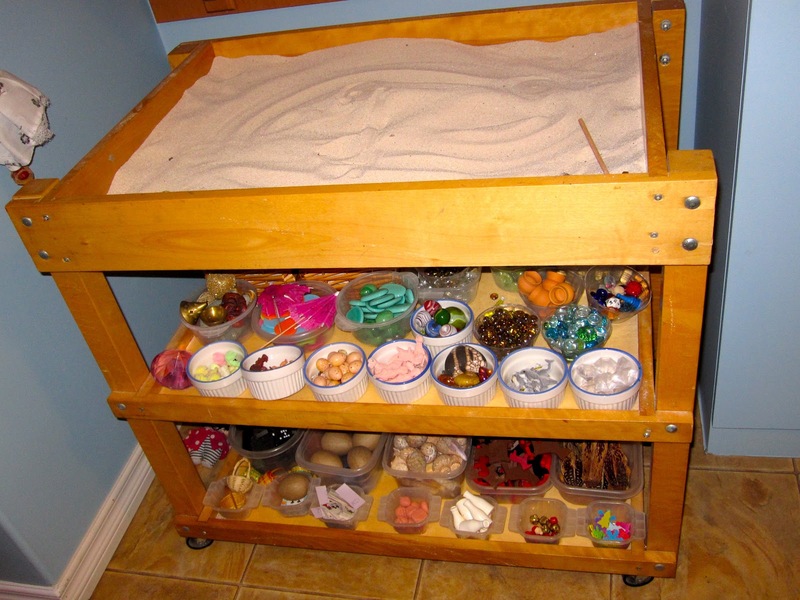 Playing in sand is one way children can practice sensory integration. Sensory integration is the neurological process that helps us interact with our environment through using our senses. The brain needs to be able to process multiple sensory inputs. Sensory integration is necessary for almost every activity that we perform because the combination of multiple sensory inputs is essential for us to comprehend our surroundings. Happy holidays to you Monica! Hello. I have a tranquil turtle which the children hold while we talk about tough issues. 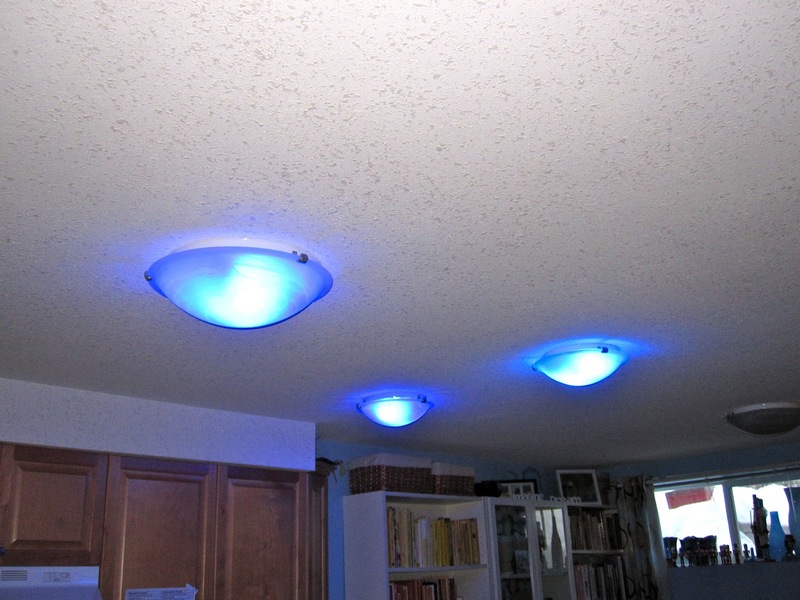 It plays soft music and the light button creates a slowly moving ocean like pattern on the ceiling. I have weighted blankets and a number of other tools. Thanks for leaving a comment. Diet is important for young children. There are many ways to help lower the symptoms of SPD. Hi Karen. I appreciate your blog. As a mom to a child who lives with numerous challenges, I'm convinced that the therapeutic elements we've used in our home over the years have greatly contributed to his successes. I believe music and visual art have been huge pieces in his life, even during times when he himself does not appear to actively participate. Great Blog spot. As a therapist and artist I really enjoy reading your exercises. 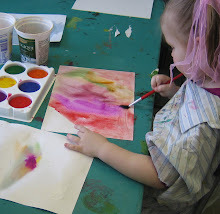 I am a new art therapist under supervision who is going to be working with a child who has SPD. 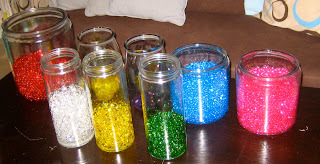 She attends a montessori school which is very hands on so that is a plus. I have not found sufficient articles on art therapy and SPD. I have only found great information through the Expressive Therapies Continuum text and on your blog. Could you point me to articles?